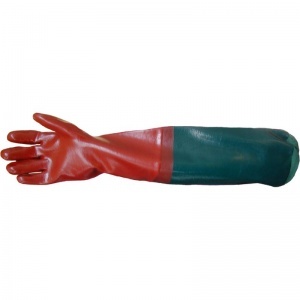 The Sleeved 65cm PVC Gauntlet R265E is a hardwearing sleeved PVC gauntlet with an overall length of 65 cm. 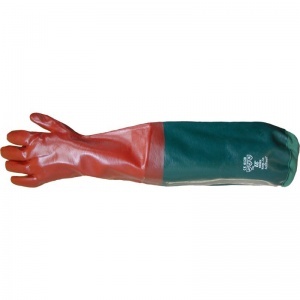 The Sleeved 65cm PVC Gauntlet R265E provides protection against a range of chemicals, oils and solvents and ideal for use in wet or dirty applications. The soft cotton interlock liner of the Sleeved 65cm PVC Gauntlet R265E improves comfort and Sanitized hygiene function works throughout extended usage to enhance freshness, hygiene and to help repel odours. 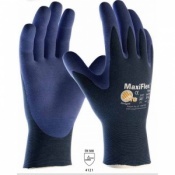 Fully REACH compliant and Phthalate free formulation for excellent quality. The product code of the gauntlet is R265E. The Sleeved PVC Gauntlet is available in a single size that should be suitable for most users. 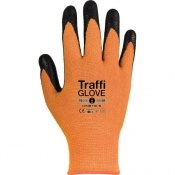 The gauntlet has a 65cm long design that is perfect for ensuring protection to the lower arms as well as the hands.